The second Visioning meeting had a presentation (PDF) and two activities. 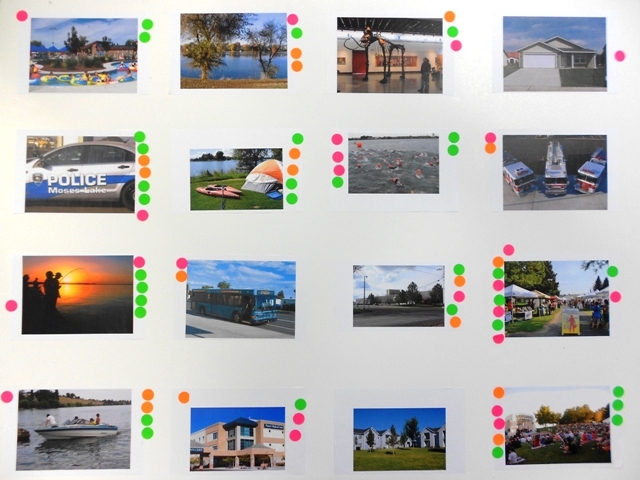 Preferences Activity Each person had sticky dots to put next to the photos they liked best. Money Activity Each person had ten $100 bills to put in the areas they thought needed it the most. They could divide their $1000 among the categories.